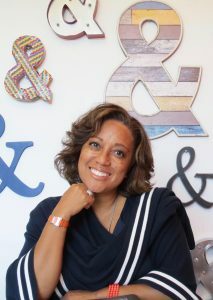 A visionary, change-agent, Candi Castleberry Singleton is the founder of the Dignity & Respect Campaign and other innovative programs on diversity and inclusion, employee and community engagement, and work-life integration. She is well-known for her commitment to organizational behavior change and inspiring people and communities to work better together. Candi’s business acumen enhances her approach of partnering with senior executives, business process owners, and community leaders to build sustainable practices for the workplace and marketplace. As a recognized leader of diversity and inclusion, she has created successful strategies and initiatives in technology, telecommunications, and health care sectors including Sun Microsystems, Motorola, and University Pittsburgh Medical Center. She has led teams in operations and talent development, and acquired extensive experience in sales management, product marketing, and training, at Xerox Corporation. An experienced strategist, Candi created The Bolt-On to Built-In Model™, an integrated inclusion model that helps companies transition from compliance-driven processes led by human resources, to integrated activities that shift the responsibility for achieving an inclusive culture to every employee. The model is featured in her chapter of Crossing the Divide: Intergroup Leadership in a World of Difference (Harvard Business School Press, August 2009). Candi is an international speaker, teacher, and mentor. She has delivered inspiring keynotes and lectures from Beijing to Budapest to Boston and has served as an adjunct professor at Carnegie Mellon University in the Heinz College for graduate education. She received an MBA from Pepperdine University, a bachelor’s degree in legal studies from UC Berkeley, and completed the Stanford University Executive Human Resources program.